Guido�s love for spinning a feather-weight ball takes him from his local Ping-Pong club, populated by idiosyncratic players with extraordinary stories to tell, to training drills with a world-class coach. This seemingly harmless game also leads him into sticky situations in the CIA headquarters and the ganglands of Washington, DC. 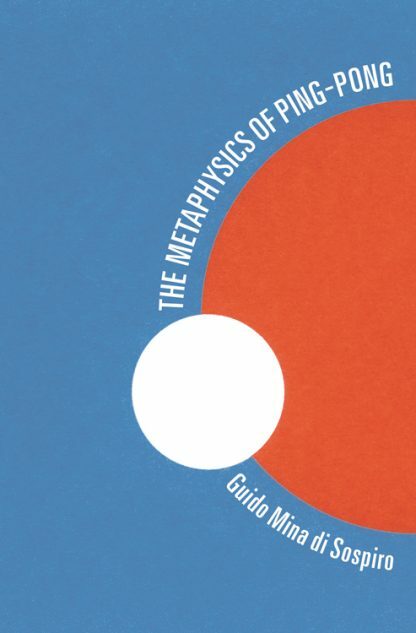 Woven throughout his Ping-Pong epiphany are philosophical ruminations on Plato and Aristotle, metaphysicians and empiricists, Jung�s dark shadow, Sun Tzu�s war tactics, the I Ching, and much more. As Guido�s journey takes him from Big Sur to a nail-biting showdown in China against a string of elite players, he finds Ping-Pong can teach us a surprising amount about life. Guido Mina di Sospiro is an award-winning, internationally published author. He has written three books that have been published around the world and maintains a blog on the New York-based web-magazine Reality Sandwich and on the alternative views website Disinformation. He lives in the Washington, DC area with his wife and their three sons and travels often to Europe and elsewhere to promote his books.